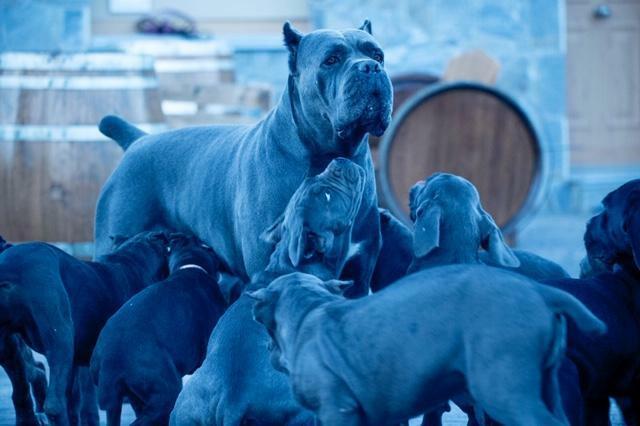 TODAY NEW ARTICLE ABOUT CANE CORSO, THE GROUP, THE MANADA. NOT BY EXPERT ASSUMPTIONS, WHO DO NOT HAVE OR CANE CORSOS, NOR DOGS, BUT QUALITY CONTENT OF THE PEOPLE OF CANE CORSO. For any breed of dog, living in a group is educational, and I think it is more impressive to see it in large breeds. 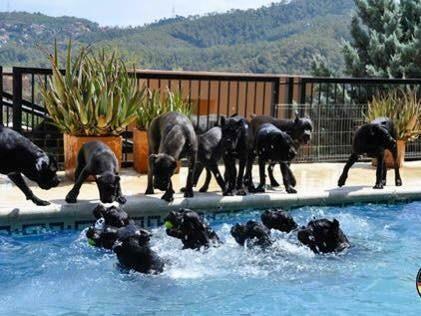 It is very nice to see many cane corso coexist together. The corso cane can live in a group, we use the group system, the groups are not very numerous, normally 6 maximum. The process of living in groups must take many factors into account. My name is juanma morato I am from Corsos X-man and this is a new article for the people of cane corso, it is a unique content, of exceptional quality and above all told by the people of the cane corso .. Not by a supposed expert who has neither a dog nor a Corsican cane. the female increases the progesterone and the character changes them, it is similar as when your girlfriend has the period, which is already looking for discussion for things, small and you notice it and tell it you have the period? and he says yes, and you think, my mother. 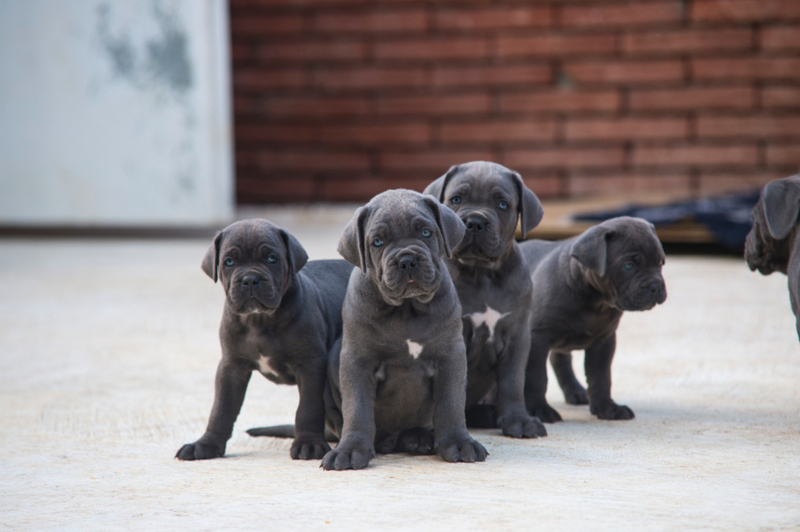 the cane corso can coexist without problems, but when jealousy and jealousy arrives, the hormones goes up and there may be a very big fight. Therefore when it is detected, the precedo I prefer to separate the and leave the group more balanced and without excitement. There is no doubt that if among the 6 individuals there may be a male or two, there are males that are the alphas of the litter and can coexist with other males who always understand that their roll is to follow the alpha male. Sometimes there can be disputes, of course they can eat together and that is what we do in our breeding program. The most important thing is the daily control of the time of the meal, which means, it is easy if you are 1 hour eating, you have to stay one hour, checking that hierarchies are used correctly, and that the whole group eat together, and in harmony. It is very nice to see a spectacular race as big as the corso cane and see how they eat in order, all together, males, females and all in harmony, it is wonderful to see it. Have some people ever asked me how do you eat together? he sees it, they grow up seeing that eating together is normal, and they grow with that naturalness, therefore it is something everyday and when puppies are born he sees it as something normal. There are times that the Corsican cane are like their owners, you do not know why but someone arrives, and if you tell them anything, without doing anything, that someone does not like you. The cane corsa lesa happens the same, some copies do not get along with others, therefore you have to know who and what you want can not be together. it is necessary to give affection for hierarchies, thus there will be no problems, it is more the corso cane are very intelligent, they can hold on and do nothing for the owner and then behind his back, to arm the problem, for something that they did not like. the mimes and the affection.